Indulge yourself with this slick watch from Sonata Steel Daisies collection. This is a classic steel-coloured piece with a round fully polished case and steel sunray dual-toned dial. The hourmarks are steel with grey print. 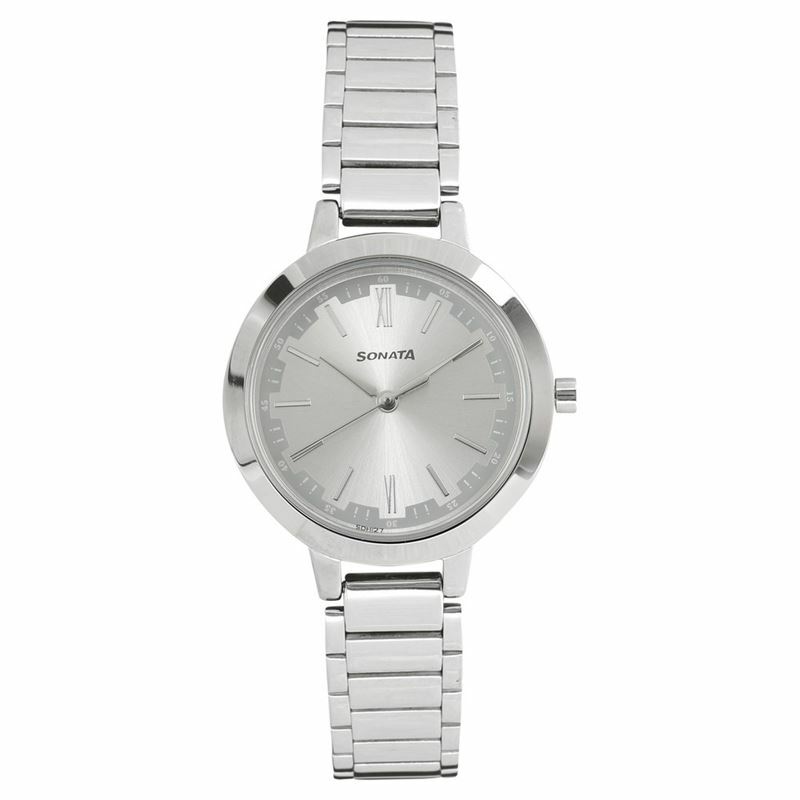 It has a matching sturdy, polished stainless steel bracelet with Z-Type clasp.